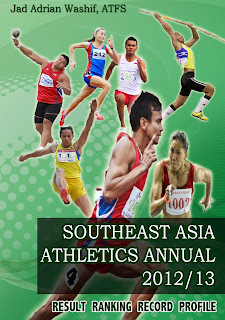 The inaugural Malaysian Grand Prix Athletics Meet was held at the National Sports Council Training Track in Bukit Jalil, Kuala Lumpur yesterday at August 08, 2010. 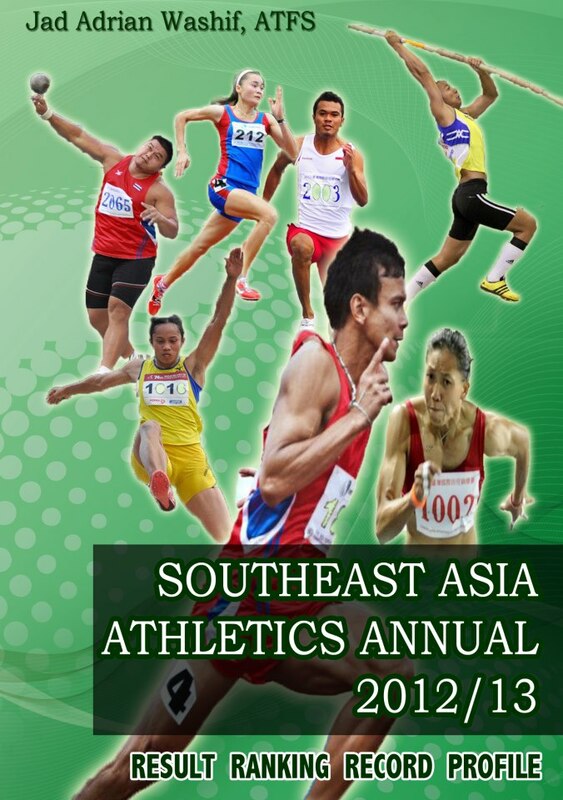 The half-day meet featured the top rank athletes in the country from 14 selected events for both male and female. Mohd Nor Imran recorded a time of 10.87 to win the men’s 100m race, however some way off his personal best 10.46 he set three week ago at the 5th Singapore All Comers meet. In the men's long jump, national athlete's Syahrul Amri of Kedah leaped 7.33 to beat Selangor's Jen Chan Guo and Kelantan's rising star Syahrul Faiz. Meanwhile, Terengganu shot putter Adi Alifuddin Hussin who broke the NR recently at Ried, Austria in a distance of 17.38m, however only managed to throw a modest 16.07m. In the women’s section, Melinder Kaur, a steeplechaser has no problem to beat the other two competitors (only) in the 1500m, she cloked 4:50.79s. 1, Mohd Nor Imran Hadi, 10.87. 2, Mohd Ikhwan, 10.91. 3, Zabidi Ahmad, 11.04. 1, K.Subramaniam, 50.14. 2, Iswadi Sluhi, 50.59. 1, Nor Azizi Ariffin, 14.73. 2, Mohd Rohaizat Jamil, 14.77. 3, Mohaswadi Mohd, 14.94. 1, M.Parthiban, 1:56.98. 2, M.Unthumaran, 2:02.09. 3, M.Sathi, 2:03.07. 1, S.Navinraj, 2.08. 2, Low Kah Loon, 1.93. 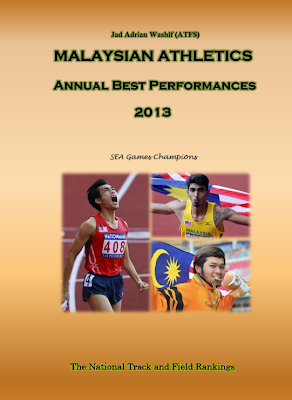 3, Mohd Firdaus Anuar, 1.90. 1, Mohd Syahrul Amri, 7.33. 2, Jen Chan Guo, 7.28. 3, Syahrul Faiz, 7.19. 1, Adi Alifuddin, 16.07. 2, Hafis Hashim, 14.92. 3, Mohd Khairul Anuar, 11.73. 1, Azman Mohd, 49.75. 2, Abd Halim Yatim 41.79. 3, Md Syafiq Hassan, 37.42. 1, Nurul Sarah Abdul Kadir, 25.05. 2, Yee Yi Ling, 25.43. 3, Komala Shally, 25.67. 1, Aini Nurazira, 15.36. 2, Jacklyn Diana, 15.98. 1, Melinder Kaur, 4:50.79. 2, Nor Amelia Musa, 4:52.36. 3, Angela Kundang, 6:00.90. 1, Siti Nurulain Rahim, 13.26. 2, Asreeny Asik, 13.19. 1, Nor Amira Nafiah, 12.67. 2, Noraina Damieon, 11.87. 3, Razima Syakin, 11.03. 1, Wong Boon Syian, 1.71. 2, M.Shandyani, 1.60. 3, Nur Izati Akmal, 1.50.